We’re starting to get quite excited for next year’s <a href="http://www.symposium.co.uk/current-conferences/employee-engagement-summit-2016/">Employee Engagement Summit 2016</a>, in March at the Kensington Close Hotel, and we hope to see you there! We’re starting to get quite excited for next year’s Employee Engagement Summit 2016, in March at the Kensington Close Hotel, and we hope to see you there! We can now add two more expert speakers to our agenda, Jane Marsh, group director at innocent drinks and Paul Bissell, head of reward and policy at Three. Jane Marsh group director at innocent. Jane qualified as a solicitor in 1993 and specialised in employment and pension law in both private practice and in-house roles before moving into the HR profession in 2010. She worked as UK&I HR director for IBM before moving to innocent in 2014. Paul Bissell head of reward and policy at Three. Paul has worked with businesses of all sizes including many global businesses in the financial services and telecommunications sectors. Prior to his current role, Paul held the head of reward roles for Vodafone, Cable&Wireless Worldwide and Nationwide Building Society. 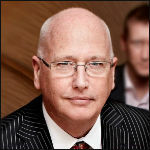 Paul is a chartered companion of the CIPD, a fellow of the Chartered Institute of Bankers and holds a master’s degree in the management of HR as well as being a former vice president of the CIPD. What part does reward and recognition play in driving engagement? On the day, we will also be looking at retaining top talent through engagement, using social networks internally to improve collaboration and engagement and current and future trends in employee engagement. The Employee Engagement Summit 2016 will provide you with valuable advice and answers from leading professionals and experts, you will learn from best practice case studies and strategies to help boost your employee’s engagement levels. Visit the event page to find out more about Jane, Paul and other expert speakers that will be presenting at the Employee Engagement Summit 2016 and book your place today.